The reason Sandra Curzi has won "Boston’s Best Facial" four times is because she is that good. She has worked on what is considered one of the world’s most renowned areas in beauty for over thirty years, the infamous Newbury Street. This summer with the heat rising, the best beauty trend you can fight back with is clear skin. Sandra shares her tips to achieve that dewy, skin here! What is the best advice for skin especially during Boston’s humid summers? There are so many myths about skin care. What is one that comes to mind especially about summer? What products do you suggest that show some a real difference? You have clearly been noticed for your skills. What makes you stand out to give such great advice? “I love what I do and I am completely into solving the clients’ skin care problems. Secondly, it's 40 years of experience in learning and applying the treatments to solve the problems. Third, I love teaching them about their skin and how to incorporate good habits into their lifestyle. I treat the skin holistically which is why I ask them about their lifestyle: how much sleep do they get, do they have a stressful job or life, what's their diet like, etc." 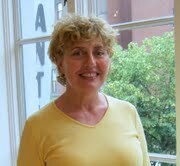 To book an appointment with Sandra call (617) 645- 4305. Find her at Avanti Salon, 11 Newbury Street, Boston, MA, 02216. She is so great. I had one with her and my skin cleared right up. She also gives so many tips and secrets to skin if you ask her. She knows her stuff! Sandra is a skincare guru beyond compare! Also, she's damn interesting to talk to about anything. I definitely second Sarah's endorsement and suggest you book with her immediately!